Check out our new electronic magazine to stay up to date with all the latest Black Sheep news! Can’t make it to a meetup or event near you? We do live streams so you can feel like you’re there. Did you miss this weeks Facebook Live? Check out our Youtube page for old Facebook Live and Tutorial videos. We host numerous events and meetups. View our calendar to see when one is happening near you! 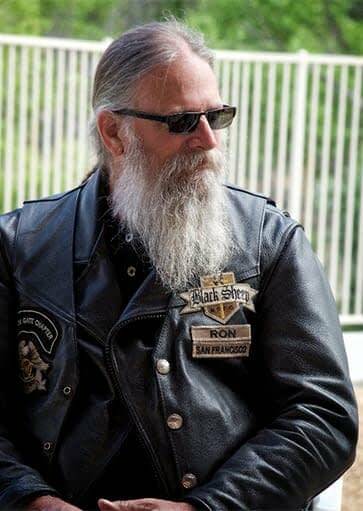 Black Sheep Harley-Davidsons for Christ, was born out of a passion and vision to bring the Gospel to those who ride. With so many similar clubs and ministries doing such a good job, it was our specific burden to focus our ministry on 2 million H.O.G. 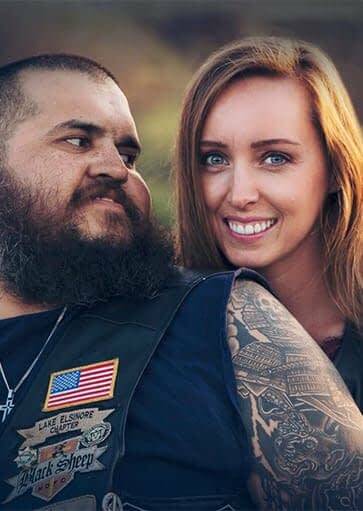 (Harley Owners Group) members. 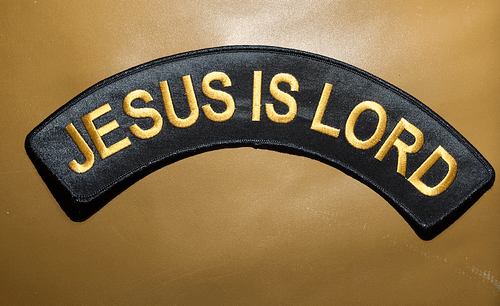 They (We) are a breed unto themselves, who often keep to themselves, allowing only other H.O.G. members to speak into their lives. Such a focus should not be viewed as exclusive (for all are welcome to Christ’s love) but rather strategic! 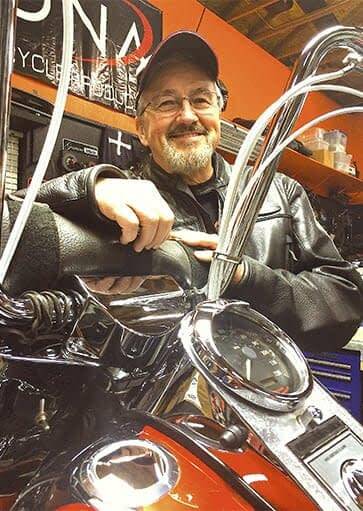 Though we often find ourselves ministering to other riders, it is HOG members to whom we give about 50% of our time and resources. Black Sheep is not only HOG focused but family oriented. 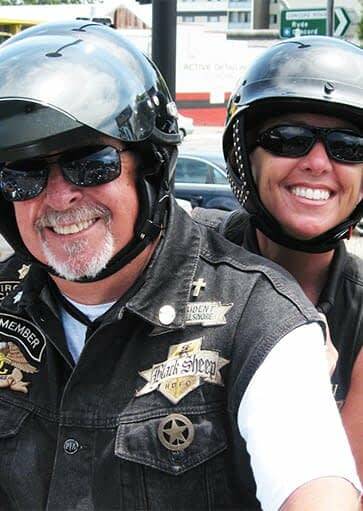 We are pleased to ride as single adults, married couples and often with our children. Whole families attend our events and rides. 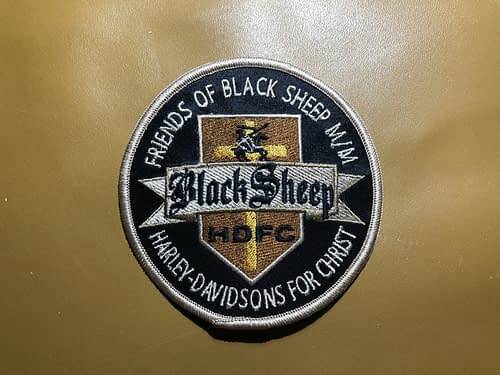 Black Sheep Harley-Davidsons for Christ is growing constantly. We have members all over the U.S. and recently have started expanding our reach to other countries as well. We want to make sure that we reach as many people as possible and help spread the Good News! Contact us for the newest updates. Black Sheep HDFC is a 501c3 non-profit cooperation and is supported by our membership, friends of Black Sheep and local churches. Shop our online store featuring items like Black Sheep coffee mugs, beanies, shirts, and other cool stuff or make a donation. You’d be surprised how much as little as $5 goes towards helping us reach more people!